Digital advertising spending by dealers will continue to grow, although at a slower pace than in recent years, while artificial intelligence and digital retail tools are expected to gain faster, according to a franchise dealer advertising study released at the NADA Show. In the study from Maryann Keller & Associates, dealers report that in the past five years, the digital advertising portion of their ad budgets has grown from 25 percent to 53 percent. In the next two years, they expect that digital share to grow to 60 percent. Growth spending areas will include artificial intelligence, such as tools that predict a selling price and selling date or chat bots, the study found. Dealers also expect to spend more on targeted display ads, video and social media. The study looked at responses from nearly 400 dealerships, including public and private franchised dealers, independent dealers, automakers and advertising executives. 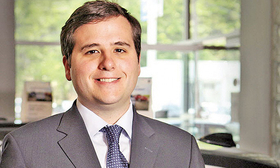 The findings indicate that dealers are spending less on advertising overall and detecting diminished results from search engine marketing ad spending, said Jeremy Alicandri, managing director of the Stamford, Conn., global automotive strategy firm. Despite the shift to digital, dealers say they aren't abandoning traditional advertising and believe it still works, Alicandri said. All study participants said they used direct mail, for example. But overall, dealers said they expect traditional ad spend to decline over the next two years. "Traditional media has not gone away, and nearly all of our respondents plan to continue using it," the study concluded. "The percentage spent on traditional media varied widely among our respondents. While newspapers seemed to be the biggest loser, direct mail, cable, radio and billboards have an important role in dealers' advertising strategy as well."